A ripple in the outskirts of the Milky Way—and a hunch—led Rochester Institute of Technology astrophysicist Sukanya Chakrabarti to a previously undetected dwarf galaxy hidden under a veil of dark matter. Now Chakrabarti is refining her technique to uncover dwarf galaxies and understand dark matter by simulating the evolutionary histories of galactic disks, rich in atomic hydrogen, and their satellite populations. Chakrabarti’s study on these overlapping regions found in spiral galaxies, like the Milky Way, is funded by a three-year $325,053 grant from the National Science Foundation. Her research seeks to solve an astrophysical conundrum dubbed “the missing satellites problem,” in which theoretical simulations that predict an abundance of satellite galaxies are unsupported by observational data. Earlier this year, Chakrabarti, assistant professor of physics in RIT’s School of Physics and Astronomy, validated her prediction of a previously unseen satellite galaxy located close to the plane of the Milky Way. In her new study, Chakrabarti and Andy Lipnicky, a Ph.D. student in RIT’s astrophysical sciences and technology program, will create the first “mock” map and catalogue of satellite populations from analyzing extended atomic hydrogen disks. “We will produce models that are consistent with both the atomic hydrogen and stellar data of our galaxy, which displays large ripples in the outskirts, a prominent warp and vertical waves in the galactic disk,” Chakrabarti said. Chakrabarti’s goal of gaining an understanding of the distribution of dark matter combines her method with gravitational lensing. She will analyze the ripples in the atomic hydrogen map and results from gravitational lensing—a technique that uses the bending of light to weigh distant galaxies and reconstruct the dark-matter background. “Comparing and contrasting results from both methods might improve the statistics of detecting dark-matter dominated dwarf galaxies,” Chakrabarti said. Sukanya Chakrabarti discussed her search on dark-matter dominated satellites in a recent TEDx talk, below. 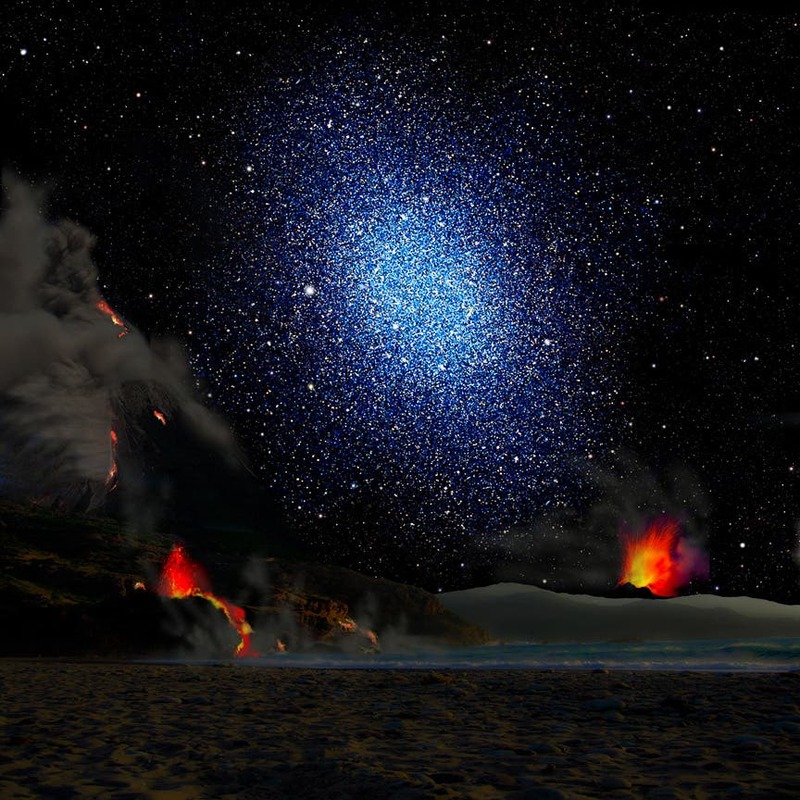 The image at the top of the page is an artist's conception of a dwarf galaxy seen from the surface of a hypothetical exoplanet. A recent study found that the dark matter in dwarf galaxies is distributed smoothly rather than being clumped at their centers, which contradicts simulations using the standard cosmological model. A paper by Matt Walker (Harvard-Smithsonian Center for Astrophysics) and co-author Jorge Peñarrubia (University of Cambridge, UK) describing the study was published in the The Astrophysical Journal. Lead author Matt Walker said: After completing this study, "We know less about dark matter than we did before."